It has been a while since using this LISP routine, but apparently the routine that was posted a couple of years ago (found here: https://autocadtips.wordpress.com/2011/05/28/autolisp-objects-2-wipeout/) and written by Giles Chanteau stopped working in newer releases of AutoCAD because it now needs to call upon a different .ARX file (AutoCAD Runtime eXtension). The LISP routine creates a wipeout object from selecting a closed object. This might not seem like a big deal since you can do the same thing with the WIPEOUT command, but this routine lets you select closed curved objects with the exception of SPLINE objects. Use OB2WO <enter> in the command line to start. 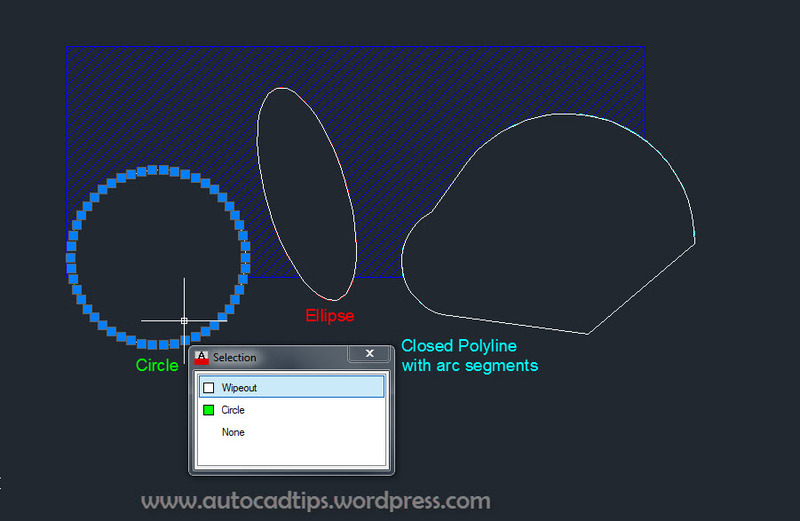 Select a closed object whose shape from which you would like to create a wipeout (Circle, Ellipse, Closed Polyline with or without arc segments). The above picture shows a Hatched area with some curved closed shapes. Shown below, The wipeouts have been created and the original selected object remains. 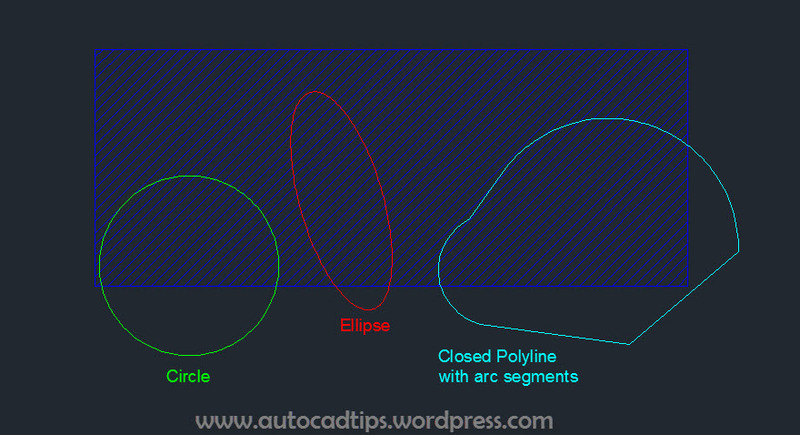 This entry was posted in AutoLISP: Creating, AutoLISP: Modify, AutoLISP: Polylines, Wipeouts. Bookmark the permalink. Need this, but can’t get to work in AC2014? Tried it in Civil 3d 2012 Sp4 and it didn’t work. It seemed to execute properly, but no wipeout. It’s possible to use other means to create a close polyline, such as c2gon.lsp then use just use polygon option from the wipeout command. in autocad 2016 appears this message “error: ARXLOAD failed”, have someone tested or modify the lisp? I just tested this version of the LISP routine on 2016 and it works fine. Awesome routine, thank you so much for this routine, saves me a TON of time! Can you do a small addition to the routine … make the line colour of the wipeout colour 254 or alternative using true colours to 254,254,254. This way this will not even show on the printout.